Finally get the rest you need! This giant U Shape Pregnancy Pillow helps pregnant women, new moms and difficult sleepers sleep peacefully. 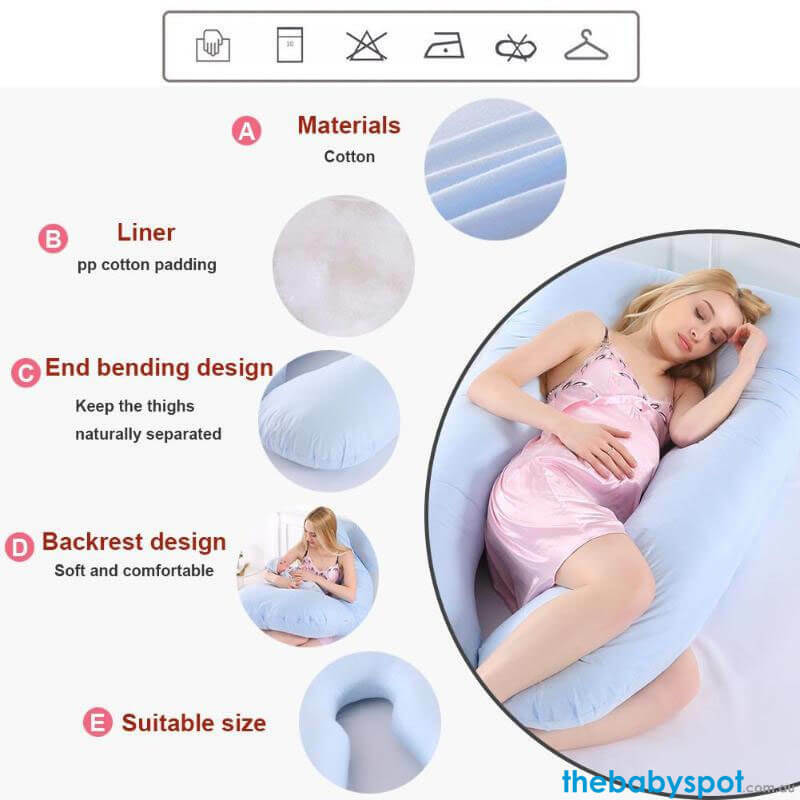 Perfect for any sleep position.The pregnancy body pillow's unique shape contours to your body and ensures support for hips, neck, shoulders and back all while helping to regulate body temperature and enhancing circulation for a deep and restful sleep. Our comfortable maternity pillow is stuffed just right (not overstuffed) with Hypoallergenic High Quality PP Cotton to Ensure Maximum Cuddliness. Thinner and lighter / More comfortable than other heavy and big pregnancy pillows. Great for pregnant women who want to have a full nights sleep. Don't wait until your back starts to hurt! Get your pillow now! It's time to get the type of comfort you deserve! Choose your favourite pregnancy pillow colour, order the body pillow and get prepared for the best night sleep you could ever imagined. Size:70cm x 130cm/27.5" x 51.1"
Note: There might be slight colour deviation due to different displays. Pillow is a generously oversized U-shaped pillow, long enough for you to stretch out and support both sides of your body. Helps with back pain, fibromyalgia, nursing and rheumatoid arthritis. A great support for reading, nursing and watching TV. Filled with a premium fiber called, Fusion Foss a revolutionary synthetic known to scientists as an "extended polymer" which allows air to flow freely. Will never flatten, clump or lump.